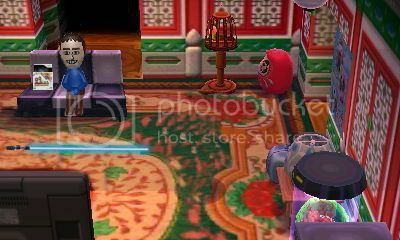 The Nintendo 3DS Photo Gallery! Your 3DS comes packed with a free 2GB SD Card, which you can use to copy your photos to your computer. You'll need either an SD card slot on your computer, or if not a USB port (which I'm pretty sure all computers have) to fit an SD Card Reader into. You can get these for a few quid on amazon and the like, and you'll only need one. When you've smacked your SD card into the computer, select DCIM and all your photos will be shown. 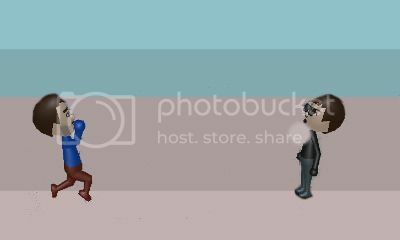 Upload 'em to Tinypic or any other image hosting site and copy the [img] code over here! 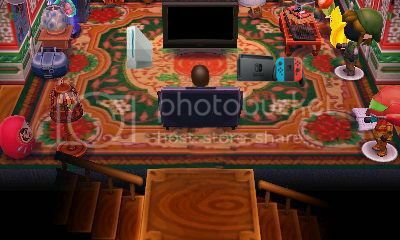 Alternatively, you can now upload photos directly from your 3DS using the Web Browser tool that became available with a system update recently. 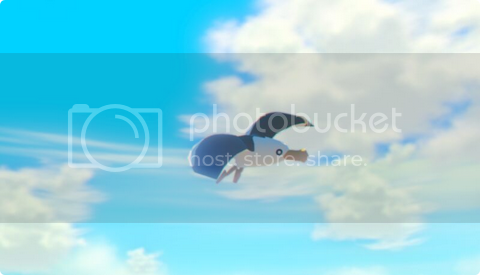 Just go onto a site where you can upload photos, click upload and you'll be shown your entire 3DS photo album! Have fun snapping photos! As many of you know, the recent 3DS Firmware upgrade has introduced the ability to record 3D video footage! While there is no known way of sharing your videos over the internet in 3D just yet, feel free to upload your videos to YouTube and share them here, whether they be stop-motion animations, timelapses or anything inbetween! Have fun! Video Gallery! 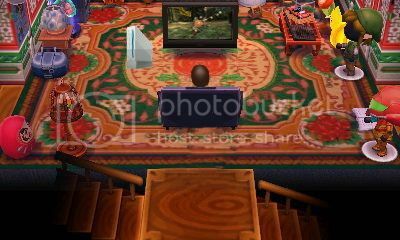 / Share 3DS snaps thread on the official nintendo magazine forum and i decided bring The Nintendo 3DS Photo and Video Gallery! 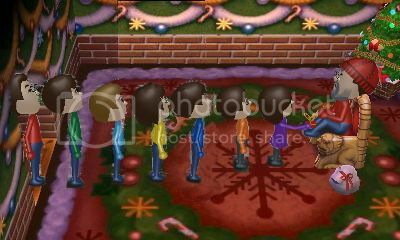 / Share 3DS snaps thread here also Now you can post Wii(U) picture's.video's in the Photo and Video Gallery! / Share snaps thread. Last edited by Fisher on Fri Apr 03, 2015 8:01 pm, edited 3 times in total. 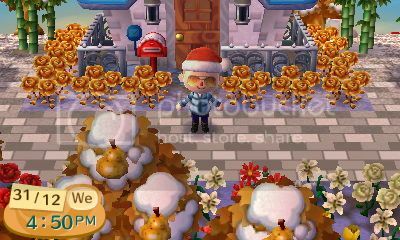 Here's some picture's and i was gonna take picture's and post them on 24th or other day's in this month but i was busy and decided to take some picture's today and here they are. wearing Santa Claus outfit and it's got snow animation. Dragonballz The great saiyaman cosplay. I know you told me about this some time ago, Fisher, but naturally I forgot. You have good pics as always. 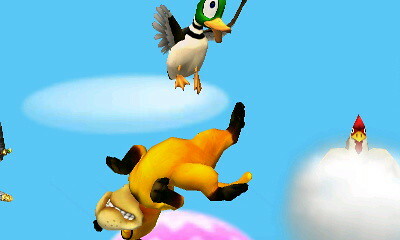 As for me, some Smash 3DS photos might be in order. This is the full of my current avatar. That was very quick pausing on my part, as a second later the next part of Shulk's Final Smash swapped the view. 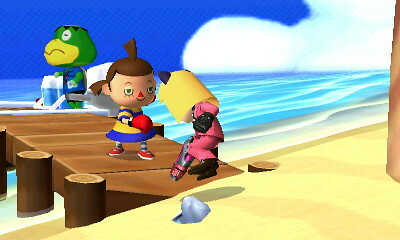 Semi Animal Crossing related, that villager doesn't look very serious about boxing. One of my current mains, Duck Hunt Duo. That's not what makes this photo, though. It's the chicken. Super surprised when Mew appeared from a Pokeball. Pretty miffed when it didn't appear to do anything. And that's all I've got. Well... there's a load more on my Flickr, but these are the ones I'd consider my best. DarkRula wrote: I know you told me about this some time ago, Fisher, but naturally I forgot. You have good pics as always. 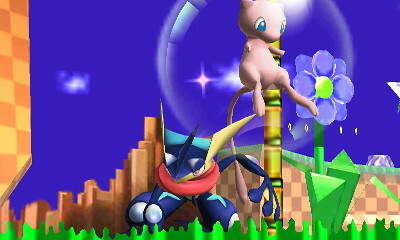 As for me, some Smash 3DGear photos might be in order. Sorry DarkRula i forgot to check this thread and you have good pics too and i decided i'm gonna do a another Augmented Reality story it will have more sonm users new face's in it i won't tell you who's in the story you have to wait for the story. 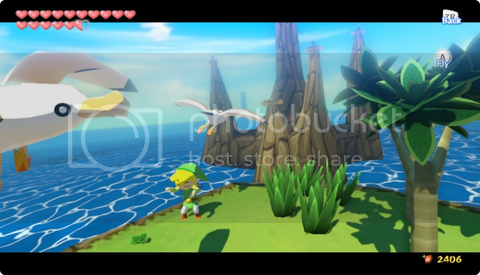 good picture RichardUK also Now you can post Wii(U) picture's/video's in the Photo and Video Gallery! / Share snaps thread. Decided gonna do another easter Augmented Reality story and post tomorrow. sadly even years later when im older its ends the same way ill try again tonight !! 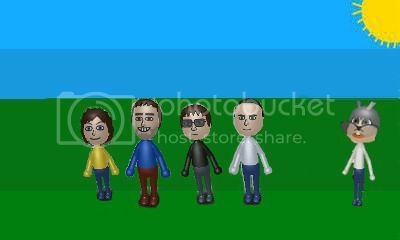 Samster,my mii,CDS,Pokemaster gonna do the Cadbury chocolate creame egg's crazy challenge to eat 48 Cadbury chocolate creame egg's fast for £2000 prize money also no one else want to do this challenge worrying about they can't do it also my mii's ask Samster,CDS,pokemaster please do this crazy challenge they agree but could fail. Marlow explain's there is a white table and four white garden chair's the white table has four Cadbury chocolate creame egg box's specialy made for the challenge that hold 48 Cadbury chocolate creame egg,no wrapper on the egg's having wrapper on the egg's will slow the challenge down cause a problem also don't worry the Cadbury chocolate creame egg's they haven't been touch if you worry about hygiene. they are at there table open the special Cadbury chocolate creame egg boxes also marlow tell them the rule's like you can't drink because doing that will cheat the challenge and other rule's like you can't sit down while doing the challenge and samster ask why and marlow said the box is big also best to stand up. also marlow said if you drop a Cadbury creame egg on the floor you failed and if you drop Cadbury creame egg in the box you picked up you failed that's mean's sit down and sit down when you finish your egg's also if you can't eat anymore Cadbury chocolate creame egg's then it's OK to sit down wait for your friend's to finish and i will tell you your score's also check your boxes. 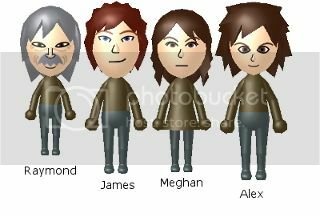 CDS was same as my mii but he said to other 12 sonm users watching i couldn't believe i've eaten lot's of creame eggs but i know i couldn't eat anymore creame eggs and the challenge was crazy also marlow closes the boxes the mii's had chocolate on there mouth. and that's it the end of the Easter Cadbury Chocolate Creame Egg's Crazy Challenge and sorry it's short didn't have enough time to work on it also happy easter monday. Ah. Lovely. Great Easter theme, Fisher. If only contests like that actually happened. Recently got myself a 16GB MicroSD for my New 3DS, and was surprised by the fact that the screws in the back plate are only there for security. The screws themselves are easy enough to get anyway, so I might have something to post soon. For now, just settle with a lazy monkey, a shooting star and a sleeping lion. i finally did the last mission on advance wars ! it was easy when i realised for so many years ive been trying using the completely wrong tactics !! oh and i also took a trip into space for £10,000 ! What were you doing wrong in that mission? DarkRula wrote: Ah. Lovely. Great Easter theme, Fisher. yes it would be great also gonna work on part 4 of that remote island AR Story tomorrow with the mii's,US army Soliders,matthrew his parent's and last part was samster,my mii,jackster,shing's they got accused of murdering of a us army solider called dave but Mark,Andrew,Dirk,Kurt refuse to believe it. Still working on part 4 and still writing really slowly. Here's Part 4 of the story isn't dead and sorry it took month's had to think idea's for part 4 what i said before on the old onm website any problem's with the island story i fix it if it doesn't make sense. Liam about Dave is dead hit over the head rock he's epuiment gone. and is Angered hearing about the bad news and Mark,Andrew,Dirk,Kurt tell's them they believe they did it also they Angered about not telling them about them being on the island leader raymond is furious with Mark,Andrew,Dirk,Kurt ask them. 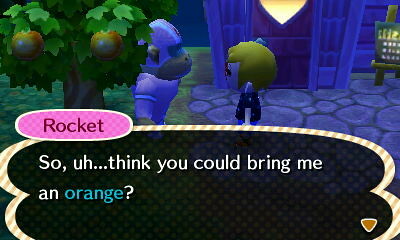 what did you do to matthew he more shaken up when you brought him back here. they denies it saying nothing where is this coming from but raymond said because he isn't telling us and not his parent's too carl,jennfier want's answers but Mark lose's it saying look old man why don't you chill and you really think we do something to matthrew oh come on you should tell them islanders what matthew done then Carl,Jennfier come out with matthrew. raymond Untied them,remove the thing in there mouth so they can talk raymond tell's them how did you get on this island what's is your name's they said there names and say we was shipwreck boat broke down boat belong's to samster our 14 friend's is at a cave we want to know what matthrew did he never told us and ask raymond, what are you's on this island and are gonna help us. but boat broke up we found them on the island when we arrive on the island by a army boat we are planning to do military experiments on this island when the us military arrive but they refuse to leave they been on this island for week's they rather stay on the island then jackster ask when did matthew fire a arrow at one of your soldiers and raymond say's today happen when you come to the island Samster,mymii,jackster,shings shocked raymond not right now. and everyone not happy with mark's behaviour his father Carl speak up saying matthew please tell's us what mark,Andrew,Dirk,Kurt did to you. then we told them about there us soldier was murdered at the cabin was hit over the head with a rock we know one of your people did it but they refuse believe it. raymond said that enough proof will be needed the best for dave body remain in the cabin we not burying the body on the island because it need a post mortem to find what time he died. 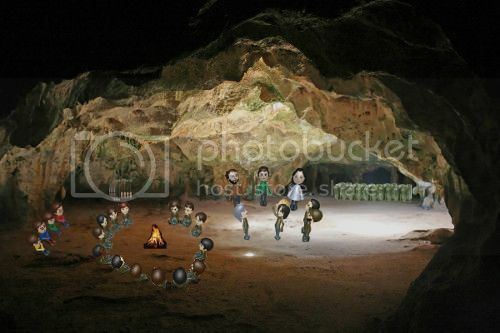 and raymond is annyoned not getting any answers from matthrew and tell's the group we deal it with this later right now there are 14 islander's in a cave they could be worried about there friend's taking ages James,Liam,Rex,Serena decided go to the mii's cave ask them question's. hoping they tell's the us army soliders help us to get of this island return home. 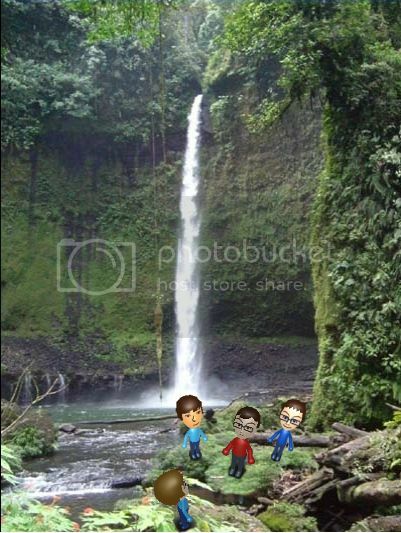 doing here they say to ben we talking about my mii,samster,Jackster,Shings hoping us army soliders help us to get of this island return home. oathkeeper refill his bottle up he run out of water too asking ten ten,morgan ben what you doing here. ten ten,morgan,ben tell's oathkeeper talking about thing's,oathkeeper ask what thing's they said talking about my mii,samster,Jackster,Shings hoping they tell us army soliders to help us to get of this island return home but oathkeeper saying we may not get of this island then told them we should go back to the cave they went back to the cave. 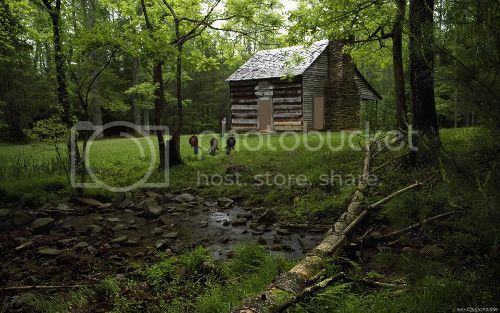 James,Rex,Liam ,Serena decided look through the window and serena is the last one look at the cabin window and they did see dave's body. Serena finish looking at the cabin window saying to James,Liam,Rex what should we do with the islanders but liam say's to serena we need proof if them four did it. i think we should talk to the islanders friend's they may know something but james saying i don't think they know anything about dave i think it's has to be one of our own murdered dave,stole his equiment i think we should tell the islander's the truth what happen to dave,matthrew,his parent's Liam,Rex,serena said ok.
James carrying 2 jerry can's that has water for the mii's and there's Liam Rex Serena. 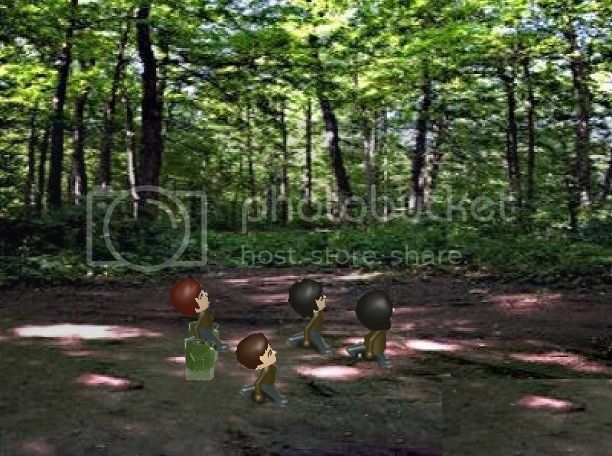 james,liam,rex,serena they bring 2 gerry can's for the mii's and confront the mii's about thing's like there wereabout's on the island,Dave's us army epiment,dave's murdered. 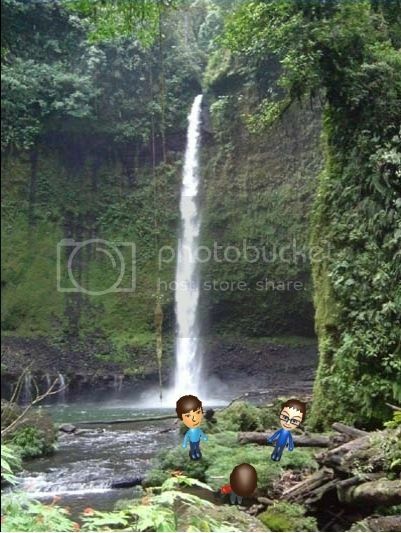 but the mii's said there wereabout's on the island is getting fish,coconut's,clam.seaweed of course getting drinking water at waterfall. 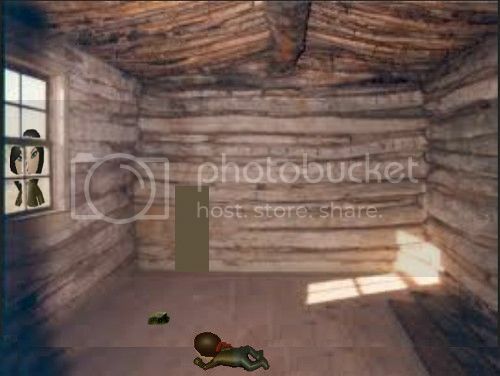 mii's saying no we don't have any us army epiment also mii's angred that a us army solider called dave was murdered hit over the head by a rock at a cabin they saying there friends never murder someone also us army soliders asking about getting wood for fire,stuff to make spears,bow's. 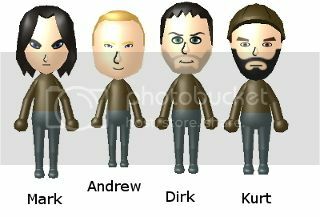 the mii's said we got enough wood for fire,enough stuff to make spears,bow's but mark,andrew,dirk,kurt took are spears,bow's us army soliders said they should of told us you were here but mark,andrew,dirk,kurt broke them. 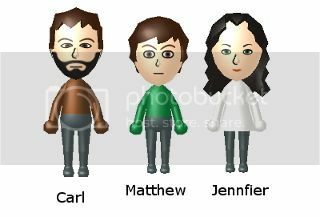 also told the mii's the truth about matthew shoot a arrow at one our soliders he told parent's then carl,jennfier told us they was never captured have no idea why he said could but did tell's them but matthew,his family was shipwreck like you's but there boat broke up we found them on the island when we arrive on the island by a army boat we are planning to do military experiments on this island but they refuse to leave they been on this island for week's they rather stay on the island the mii's was shocked. 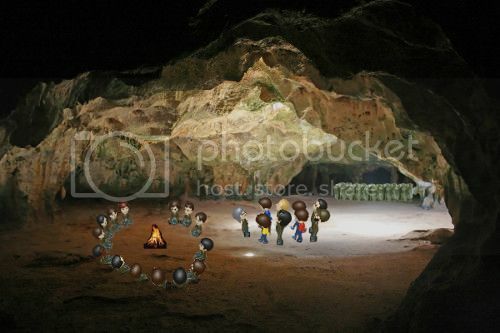 rex,james go to the beach to look at samster's boat engine it's broken can't be fixed and liam,serena stay at the cave. 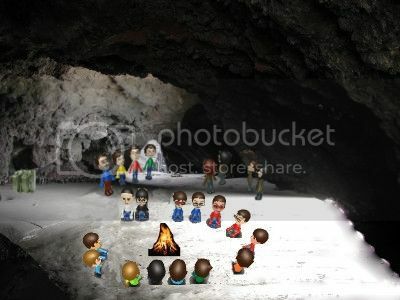 Jame's,Rex went back to the mii's cave tell them that the boat will need a new engine we don't have a engine for that the mii's ask them are you gonna call rescue to get us of this island. Liam said you can't leave because there's a murder happen on the island the mii's angered what does this do with us we didn't murder him. Liam said your may be suspects we believe another one of your people may come then James tell Liam that's not true why would another one come with there four people murder a us army soldier also we question's there wereabouts we need proof it's not enough evidence. they hoping the us army soliders help them to get them of the island and return home. 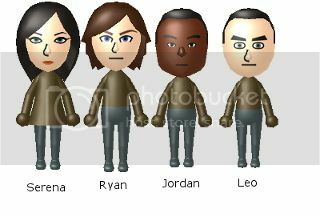 Here's the US Army soliders and Raymond is the leader also haven't post a picture of dave because yet because gonna do a flashback story when he get's murdered then post a picture of him. Part 5 Coming next month won't take month's like part 4. 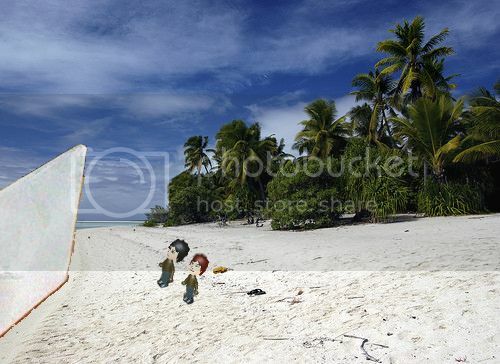 So there's a murderer loose on the island, and no-one can leave until it's cleared up. Do you have it all planned out now, or is it still improvised per part? CDS it's still improvised per part and i got some idea's for part 5 what's gonna happen. he decided to a break and switch the console off. oathkeeper knock on my door telling my mii that we going to santa grotto to meet him to get a present but my mii tell's oathkeeper we too old to believe in santa but oathkeeper said your never too old for santa also oathkeeper tell's my mii to get the other mii's and my mii said ok but we gonna get laugh at maybe we should pretend to believe in santa. my mii,oathkeepter arrive at samster house tell's samster we gonna go to santa grotto to meet him to get a present but samster said you's are a adult your not kids why are you still believe in santa and my mii said we pretending to believe in santa then samster said ok but i hope we don't get laugh at. the kid's queue they waiting to meet santa the queue long. 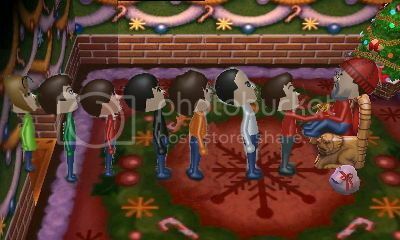 the mii's queue they waiting to meet santa the girl ask santa for a bike for christmas then get a present. start moving up the last one is the boy he ask santa a ps4 with 20 games then santa gives him a present tell's the boy i see what i can do. 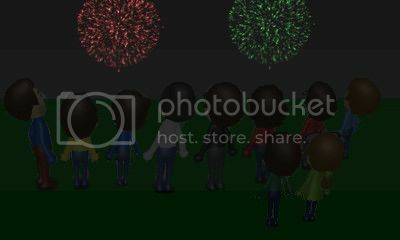 unware that santa don't relieze that the mii's know each other but santa relieze that they look older ask them why did you's come here then Oathkeeper said for presents. 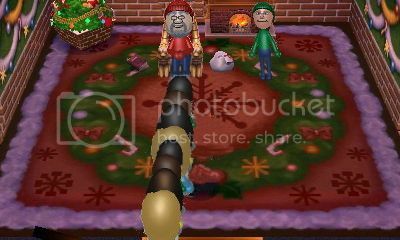 santa tells the miis you better leave also samster angry tell's santa we want present and santa tell's the mii's your too old for present's from santa. oathkeeper in 3rd place said we not it can be any age santa get's annyoned say's to the mii's if i've gives you presents are you sure you's won't come back ever again the mii's yes they agreed. 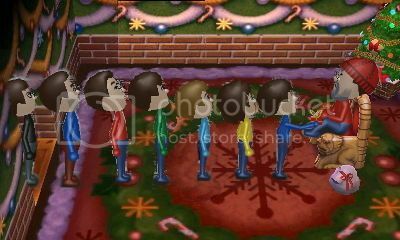 santa give present's to the mii's. 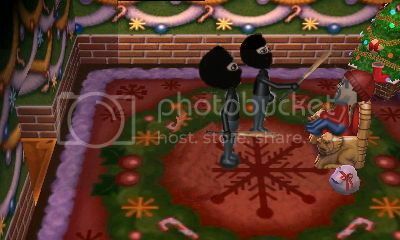 when the mii's leave 2 thugs wearing mask's with 2 got baseball bat's enter the gotto they demand give us the present's or you will get it santa had no choice to give the present's to the thugs but thugs change there mind telling santa here is the gift to you then santa saying please don't also the thugs attack the santa,elf. 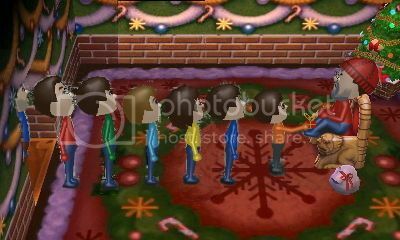 2 mii's rush in hear santa saying please don't 2 the mii's confront the thugs what they did santa,elf and tell them drop the present's or will get it you don't want to mess with us we fearless. 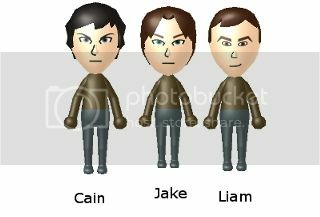 then one of the mii's punch the thug the thug use the baseball on the the mii he fall down 2nd thug use baseball bat on the 2nd mii next the thugs start kicking the 2 mii's. 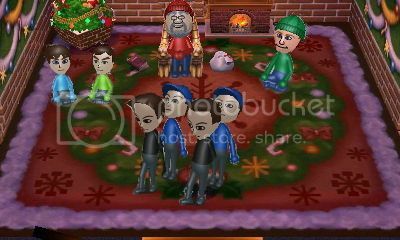 then get's serious the police arrive point guns saying that's enough arrested the thugs unmask the thugs the police give back the present's to the santa,elf 2 the mii's give a statement what happen they will get charge for Theft,assault on a elf,two other mii's. 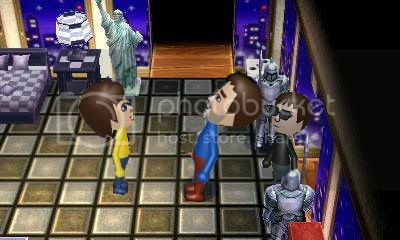 it's christmas day my mii got Mario & Luigi: Paper Jam 3ds,Star Wars: The Force Unleashed Wii old game year 2008,stars war's light saber blue and my mii not really a fan stars wars can't understand why cds buy my mii these maybe he trying to turn my mii into a stars wars fan. 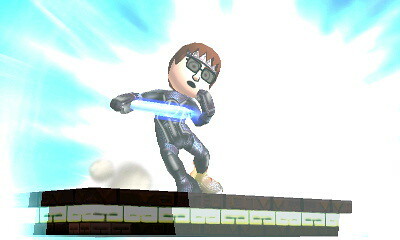 but my mii realize it doesn't matter if he play stars wars games because he has played similar game's in the past i don't think he bothered with the star wars movie's,stars wars merchandise as for the light saber he decided to keep it. 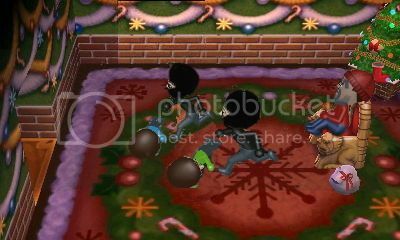 when my mii finish christmas dinner and pulling the cracker my mii decided to join cds in the snow and do a snow fight my mii throw a snowball at cds. 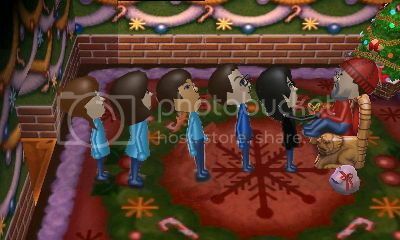 the mii's decided to a bulid a snowman it start snowing they decided to wear santa hat's also other mii's decided not to come they busy. that's it of the christmas story also if something doesn't make sense in the story i fix it. Great as always Fisher. 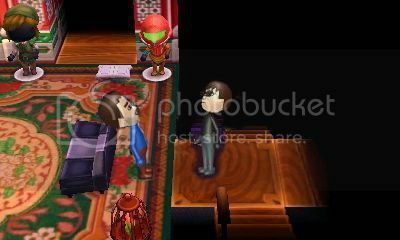 Nice combination of Animal Crossing photos and the AR. 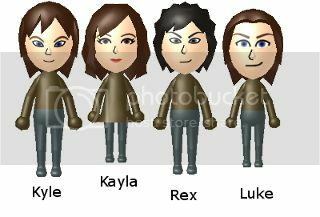 Nice inclusion of my Mii, too. 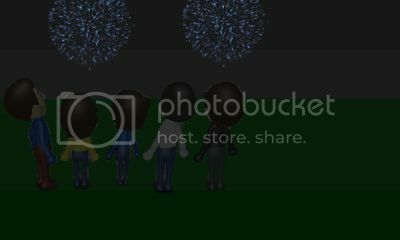 my mii,samster,cybergw,pokemaster,cds celebrate new years day it start's with blue firework's. 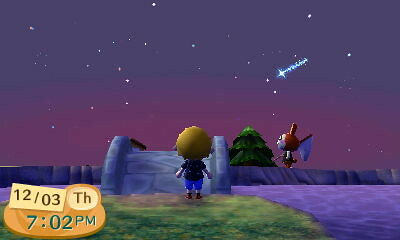 then jackster,ben,oathkeeper,shings,gracie come along to celebrate it and other mii's stay at home to celebrate it. my mii tells cds what is it that break the giant chocolate egg i'm confused and how do you break it then cds said i don't know marlow explain it but i think we break it with something then eat it but that giant chocolate egg will melt. 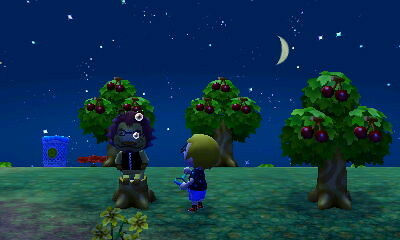 my mii said that be crazy what marlow comes up with but that giant chocolate egg will be in a shade. sorry it's short i didn't have enough time to finish it and last picture is a creme egg and Happy Easter. Short, sweet, and great as always Fisher. 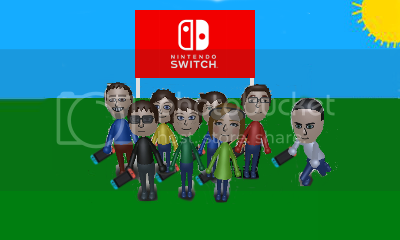 go home also the miis got there nintendo switch. 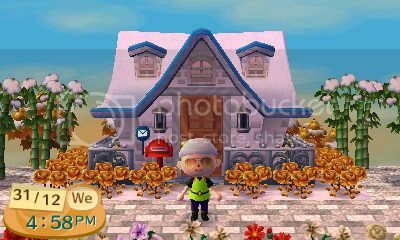 and that's it and didn't have enough time to do more pictures i was busy and happy nintendo switch day. i was gonna post this on easter but i had internet problem's and sorry. my mii turns of his tv finish playing his nintendo switch also still play's his nintendo wii. also cds said said i may not be good at tennis too. 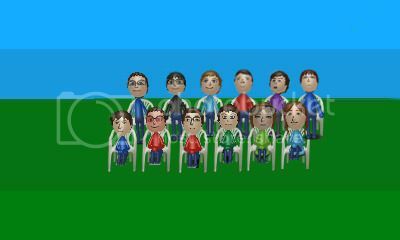 but my mii,cds said we may not be good at tennis too. mii and cds goes with pokemaster. 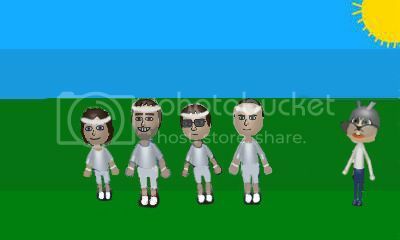 samster,my mii,cds,pokemaster at the tennis court and they playing tennis also the other miis are watching them. and that's it for the easter story.